The 40th anniversary of Ridley Scott’s iconic “Alien” received a stunning homage Friday night: A student production from a New Jersey high school drama club went viral. Twitter was abuzz with video footage and industry praise, including a shout out from Adam Savage of “MythBusters” (“OMFSM i need to see this. Wow”). On March 19th and 22nd, North Bergen High staged a faithful adaption titled, “Alien: The Play,” replete with hand-made Xenomorph costume and re-enactment of the Facehugger scene. While crude, they still bear the unmistakable look of H.R. 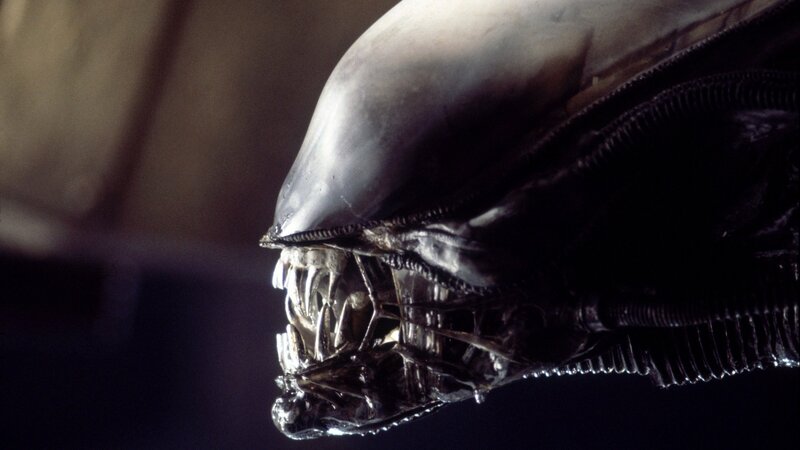 Giger’s legendary designs. Overseen by drama and art instructors Perfecto Cuervo (who even made a trailer) and Steven Defendini, the production boasted a rare combination of outside-the-box ingenuity and improvised craftsmanship from a half dozen students. A standard Xenomorph costume was purchased on clearance and enhanced with a plastic skeleton from Target and foam donated by a local scenery company (which also provided material for the sets, including egg cartons for the computer lab).